Wellington is the capital city and second most populous urban area of New Zealand, with ca. 496.000 residents. It is located at the south-western tip of the North Island, between the Cook Strait and the Rimutaka Range. It is the major population centre of the southern North Island and is the administrative centre of the Wellington Region, which also includes Hutt City, the Kapiti Coast and the Wairarapa. 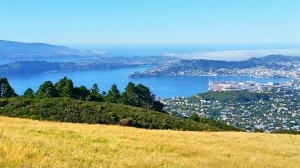 Wellington is the home of Lord of the Rings and was voted as “Coolest little capital in the world” by Lonely Planet in 2011 and ranked by the Mercer Quality of Living Survey as 12th best place in the word to live in 2014. The Demi Pair Training Scheme is a level 2 NZQA approved training scheme where you study 15 hours part time English from 9 am until 12 pm and also have 15 hours practical training in the afternoon or occasionally during the weekend. You can choose between General English, FCE and CAE. You can start any Monday of the academic year. Special intake dates for the Cambridge exam preparations apply and depend on the number of students. The school will assist with enrolment in exams. These are held 4 times a year and approximately every 3 months in Wellington. Contact us for more information about the dates. You are required to bring your passport, a copy of your visa and your health & travel insurance on your first day at school. The orientation day is a one day familiarisation day where all practicalities will be taken care off and where you get to know New Zealand’s capital and the school. If you wish to enrol in a Cambridge preparation course (FCE and CAE), there is a one week orientation prior to the course start. This one week orientation takes place 4 times a year.